﻿ Best Price on Jademar Cabins in Drake Bay + Reviews! This property is only 492 feet from the beach in Bahia Drake and features lush tropical gardens with exotic birds. Jademar Cabins provides free WiFi. The property offers some air-conditioned rooms. 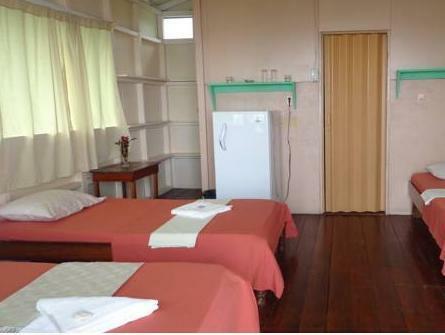 The bathrooms come with a toilet and shower, also the property offer a shared kitchen. There are hammocks in the garden. There are some restaurants close to Jademar. Corcovado National Park, which offers hiking and nature tours, from Jademar Cabins. The property can help guests arrange hikes and tours of Isla del Caño Island, Corcovado Park and Sirena National Park. Complementary transfer from Agujitas Beach to the property. Drake’s National Airport is 4 mi away, from this property, from Sierpe to Drake is approximately 1 hour by boat. A boat service to go from Sierpe to Drake takes about 1 hour. Sierpe is a place before to arrive at Drake, where you take the public boat, The property can make all the reservations and buy reserve the tickets.